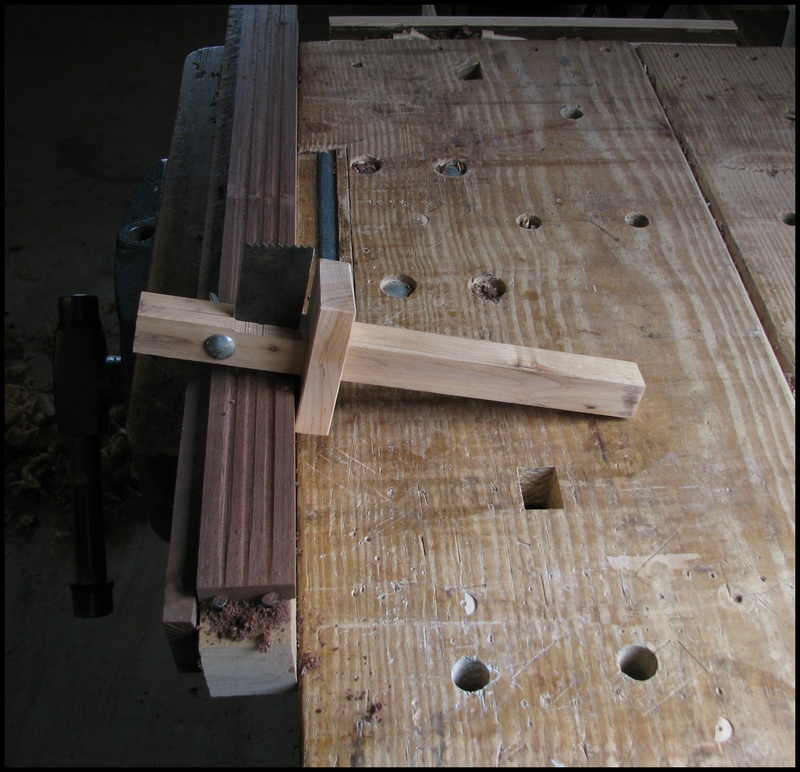 In order to cut the flutes in the columns on my puppet stage, I made up what I recently learned is called a “Scratch Stock” (see Peter Follansbee’s blog ) from some maple and a piece of an old saw blade, in the form of a marking guage- with an adjustable fence. On a side note, Peter Follansbee’s blog is quite interesting and unique- captivating even- for people who appreciate those who are exceedingly well aquianted with the specific history and dedicated to the authentic quality of their work. 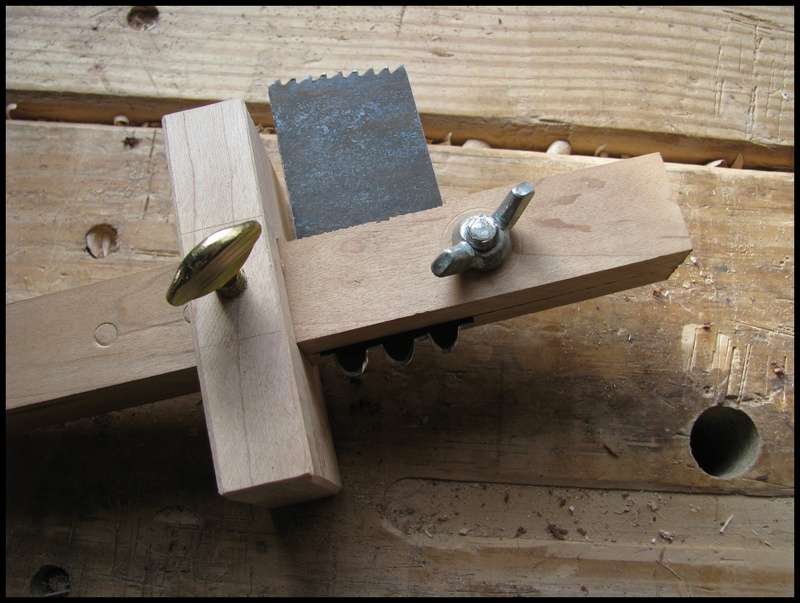 One can also visit his website to see some of his extraordinary work in 17th century joined furniture. You can see the saw teeth on the top and the cutters I cut on the bottom. 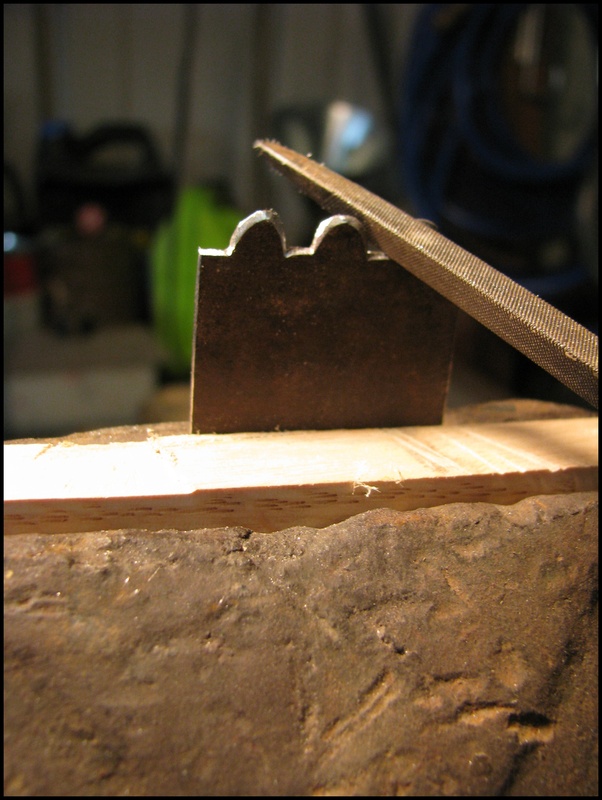 Shaping the cutters with a saw tooth file. 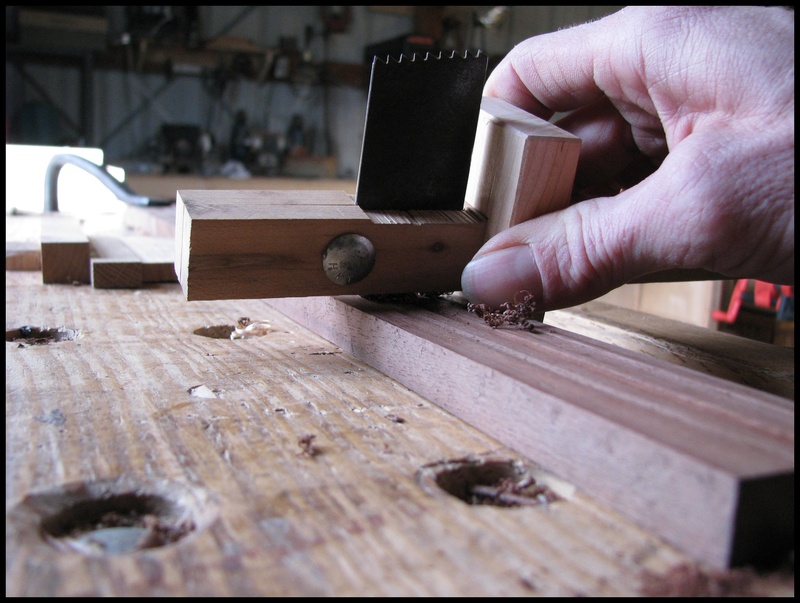 Scratching the flutes into the black walnut held in a little jig made with a couple of nails in one board and another to one side to act as a fence. 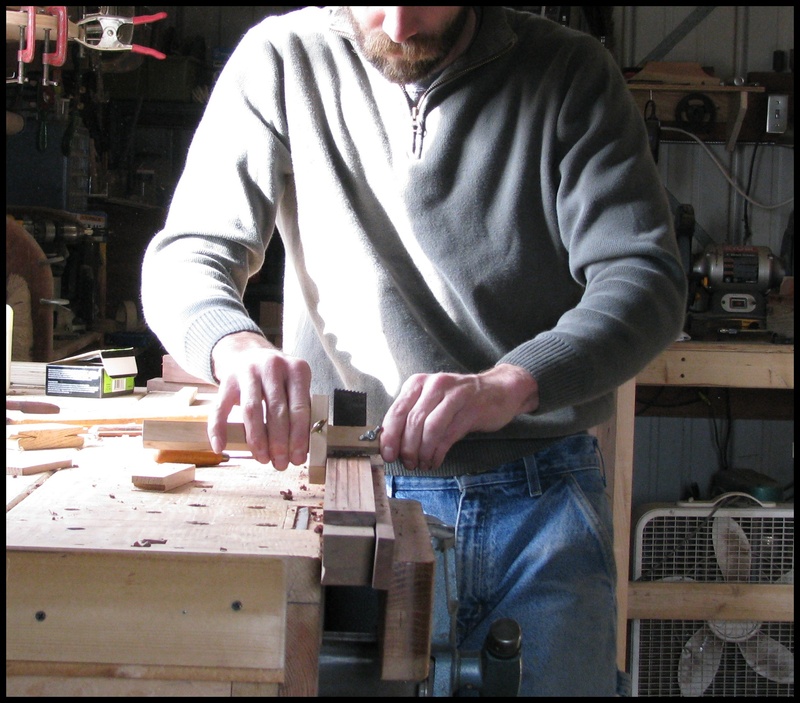 It takes many slow passes across the hard walnut, and the ends are cleaned up with a small gouge. Another view before the jig. I have a lot to learn but I am getting there.